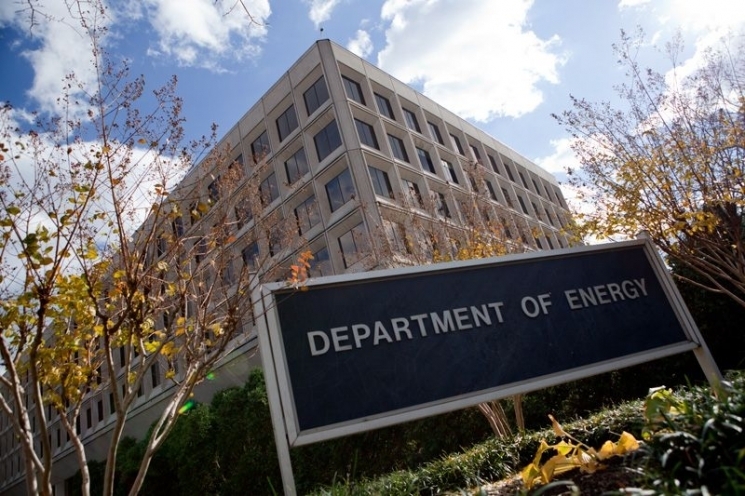 Department of Energy ⌨: Mission: Ensure America’s security and prosperity by addressing its energy, environmental and nuclear challenges through transformative science and technology solutions. ♦ Catalyze the timely, material, and efficient transformation of the nation’s energy system and secure U.S.
leadership in clean energy technologies. clear leadership in strategic areas. ♦ Enhance nuclear security through defense, nonproliferation, and environmental efforts. Security & Safety; Funding & Financing. Skylights; Home Design & Remodeling; Renewable Energy. Energy Innovation Portal: Enables users to locate technologies developed with DOE funding and available for licensing. FuelEconomy.gov: Official U.S. government source for fuel economy information. Advanced Research Projects Agency - Energy: ARPA-E advances high-potential, high-impact energy technologies that are too early for private-sector investment. ARPA-E awardees are unique because they are developing entirely new ways to generate, store, and use energy. ARPA-E empowers America's energy researchers with funding, technical assistance, and market readiness. Energy Information Administration ⌨: EIA collects, analyzes, and disseminates independent and impartial energy information to promote sound policymaking, efficient markets, and public understanding of energy and its interaction with the economy and the environment. ♦ Sources & Uses: Petroleum & Other Liquids; Coal; Natural Gas; Renewable & Alternative Fuels; Electricity; Nuclear & Uranium; Consumption & Efficiency; Total Energy. ♦ Topics: Analysis & Projections; Environment; Markets & Finance. ♦ Geography: U.S. States; International; Maps. National Nuclear Security Administration ⌨*: NNSA is a semi-autonomous agency within the U.S. Department of Energy responsible for enhancing national security through the military application of nuclear science. NNSA maintains and enhances the safety, security, and effectiveness of the U.S. nuclear weapons stockpile without nuclear explosive testing; works to reduce the global danger from weapons of mass destruction; provides the U.S. Navy with safe and effective nuclear propulsion; and responds to nuclear and radiological emergencies in the U.S. and abroad. Office of Electricity Delivery & Energy Reliability ⌨: OE provides national leadership to ensure that the Nation’s energy delivery system is secure, resilient and reliable. OE works to develop new technologies to improve the infrastructure that brings electricity into our homes, offices, and factories, and the federal and state electricity policies and programs that shape electricity system planning and market operations. OE also works to bolster the resiliency of the electric grid and assists with restoration when major energy supply interruptions occur. Office of Energy Efficiency & Renewable Energy ⌨: The mission of EERE is to create and sustain American leadership in the transition to a global clean energy economy. Its vision is a strong and prosperous America powered by clean, affordable, and secure energy. Office of Environmental Management ⌨: EM mission is to address the nation’s Cold War environmental legacy resulting from five decades of nuclear weapons production and government-sponsored nuclear energy research. This legacy includes some of the world’s most dangerous radioactive sites with large amounts of radioactive wastes, spent nuclear fuel (SNF), excess plutonium and uranium, thousands of contaminated facilities, and contaminated soil and groundwater. Created in 1989, EM has the responsibility for completing the cleanup of this Cold War legacy and managing the remaining nuclear materials. Office of Fossil Energy ⌨: FE is responsible for Federal research, development, and demonstration efforts on advanced carbon capture and storage (CCS) technologies, as well as the development of technological solutions for the prudent and sustainable development of our unconventional oil and gas domestic resources. It also manages the nation's Strategic Petroleum Reserve and Northeast Home Heating Oil Reserve, both key emergency response tools available to the President to protect Americans from energy supply disruptions. ♦ Services: Petroleum Reserves; International Cooperation; Natural Gas Regulation; Advisory Committees. ♦ Science & Innovation: Clean Coal Research; Carbon Capture & Storage Research; Oil & Gas Research. Office of Indian Energy Policy & Programs ⌨: Office of Indian Energy Policy and Programs is authorized to fund and implement a variety of programmatic activities that assist American Indian Tribes and Alaska Native villages with energy development, capacity building, energy cost reduction, and electrification of Indian lands and homes. Office of Legacy Management ⌨: LM is responsible for ensuring that DOE's post-closure responsibilities are met and for providing DOE programs for long-term surveillance and maintenance, records management, work force restructuring and benefits continuity, property management, land use planning, and community assistance. Office of Nuclear Energy ⌨: NE's primary mission is to advance nuclear power as a resource capable of making major contributions in meeting our Nation’s energy supply, environmental, and energy security needs. NE seeks to resolve technical, cost, safety, security and regulatory issues through research, development and demonstration. By focusing on the development of advanced nuclear technologies, NE supports the Administration’s goals of providing domestic sources of secure energy, reducing greenhouse gases, and enhancing national security. ♦ Services: Nuclear Energy Advisory Committees; Funding; Document Library; Education. Enabling Technologies; Space & Defense Power Systems; Nuclear Energy Tribal Working Group. Office of Science ⌨*: The Office of Science is the lead federal agency supporting fundamental scientific research for energy and the Nation’s largest supporter of basic research in the physical sciences. The Office of Science portfolio has two principal thrusts: direct support of scientific research and direct support of the development, construction, and operation of unique, open-access scientific user facilities. Federal Energy Regulatory Commission ⌨: FERC is an independent agency that regulates the interstate transmission of natural gas, oil, and electricity. FERC also regulates natural gas and hydropower projects. International Energy Agency: Autonomous organization which works to ensure reliable, affordable and clean energy for its 29 member countries and beyond. Four main areas of focus are: energy security, economic development, environmental awareness, and engagement worldwide. Energy Star: EPA voluntary program that helps businesses and individuals save money and protect our climate through superior energy efficiency.